Groove Distribution :: :: Singles :: House :: Roberta/LOVE ME SOMETIMES (1-SIDED) 12"
Home : : Singles : House : Roberta/LOVE ME SOMETIMES (1-SIDED) 12"
Roberta/LOVE ME SOMETIMES (1-SIDED) 12"
Groove Dis Exclusive. Follow-up to the first self-titled 12" on INNERMOODS. Solid 2 track deep house single featuring the sultry "LOVE ME SOMETIMES" and "STILL LOVE YOU". 1-sided hand stamped 12". Her tracks on INNERMOODS and her own label NIGHT MOVES have gotten support from KAI ALCE, JACQUES RENAULT and many others. 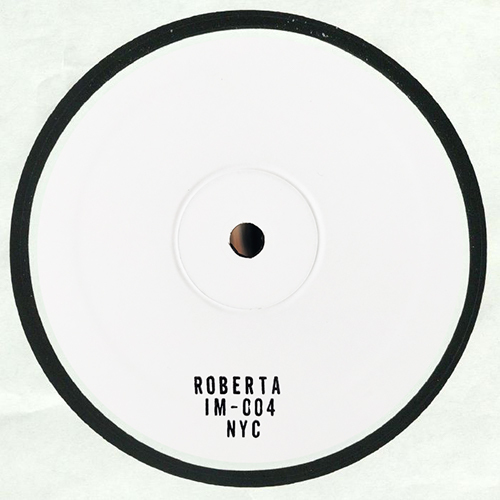 Roberta/DON'T BOTHER KNOCKIN' 12" Roberta/ROBERTA (1-SIDED) 12"
4004/BODY NIGHT LIES 12" James Duncan/INNERMOODS #1 12"